The 1909 arrival of Serge de Diaghilev's Ballets Russes in Paris marked the beginning of some two decades of collaboration among littérateurs, painters, musicians, and choreographers, many not native to France. Charles Batson's original and nuanced exploration of several of these collaborations integral to the formation of modernism and avant-gardist aesthetics reinscribes performances of the celebrated Russians and the lesser-known but equally innovative Ballets Suédois into their varied artistic traditions as well as the French historical context, teasing out connections and implications that are usually overlooked in less decidedly interdisciplinary studies. 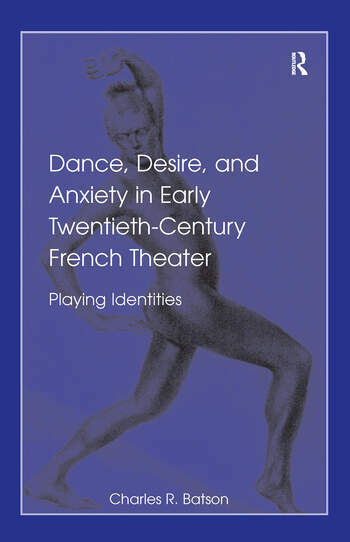 Batson not only uncovers the multiple meanings set in motion through the interplay of dancers, musicians, librettists, and spectators, but also reinterprets literary texts that inform these meanings, such as Valéry's 'L'Ame et la danse'. Identifying the performing body as a site where anxieties, drives, and desires of the French public were worked out, he shows how the messages carried by and ascribed to bodies in performance significantly influenced thought and informed the direction of much artistic expression in the twentieth century. His book will be a valuable resource for scholars working in the fields of literature, dance, music, and film, as well as French cultural studies. Contents: Introduction: Dancing France; Saint/s Sebastian; Dancing about architecture; Performing the other; Men in tights; RelÃ¢che; Works cited; Index. Charles R. Batson is Associate Professor of French at the Department of Modern Languages and Literatures, Union College, Schenectady, New York, USA.